Amanda Keller remains an optimist. Always ready to flash a grin and drop a one-liner, she takes a somewhat more introspective tone when we meet in her dressing room. News events are playing on everybody’s mind, and aggressive reality shows are dominating the landscape. Through it all the show must go on. “One of the things we saw the weekend was the culture of hate, the language of hate, the rhetoric,” she explains. Shows don’t come much more happy than 10’s Dancing with the Stars. The revamped show on 10 has attracted positive reviews including for Keller and co-host Grant Denyer. Aside from some Living Room episodes, DWTS is first time both have commanded a show together. “She said ‘You’re both equal partners.’ That was a decision that was made before they even approached me. “I’m really impressed with Grant. He has a very style of looking casual, but he’s so thorough. His brain’s always working. And he’s very generous if I say something in a script meeting, he’ll make sure that I get to say that in the show. The scale of the Warner Bros. show impresses the seasoned Keller, who is particularly daunted by the technical wizardry. “This set is just so big. It’s extraordinary, there are giant mirrorballs. It’s like Superbowl. And the tricks that they can do with the floor, it is just amazing,” she continues. “Between one dance and the next, a whole bank of lights will come in and then they disappear or the illusion of rain comes and then disappears. “At the first the first dress rehearsal I was thrilled with excitement. I felt like I was as part of a circus, part of the Hugh Jackman show. Keller’s busy showbiz weeks already includes breakfast radio and fortnightly recordings of The Living Room. Sundays entail a script meeting with Mondays panning out as a full day of rehearsals and Live broadcast. But it wouldn’t be Dancing with the Stars without a villainous judge. While Craig Revel Horwood has delivered plenty of pithy lines, Keller says replacing a well-known judging panel was no mean feat. “I think their character definition, very early on, fell into place and they all have things to say. I think even that people who boo Craig the meanie have now come to respect what he says,” she suggests. “He’s a very nice man but he can be caustic in a second. So that is that is his act. As the show passes its halfway mark, Olympia Valance became the latest elimination last night. Keller isn’t revealing her tip to win, but with some shock outcomes that may be an astute move. “I do think towards the end everyone has to have a certain level of proficiency. It’s like the Melbourne Cup …. who accelerates the most at the end?” she asks. 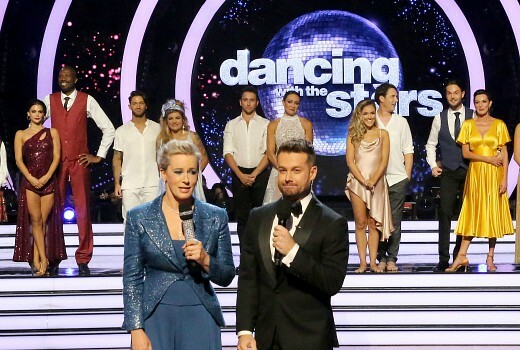 Dancing with the Stars airs Live 7:30pm Mondays on 10. I’m liking DWTS as well and honestly think it may be a slow burn and ratings will be better next season around. Look at comparable Mondays last year to this year, MAFS was: 1,525,000 is: 1,351,000, MKR was: 996,000 is 714,000; the only thing in the Top 20 for TEN was the News and The Project. So combined MAFS and MKR are down 456,000, DWTS is: 492,000 and Elim: 556,000, so picking up what those are down and adding some. 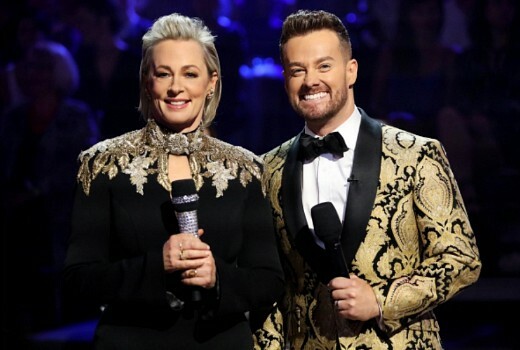 It’s not all doom and gloom for TEN and DWTS, as they have another show in the Top 20 they never had last year, if CBS can wear the cost of making the show it’s well and truly worth sticking with I think. The new judges are a breath a fresh air. Love Amanda, so polished and professional and funny. Along with Grant they make a great duo. Am really enjoying DWTS on Channel 10. Not a big fan of dancing shows so haven’t watched DWTS for years. But decided to watch this new version on Channel 10. Am quite enjoying it. Am really liking Amanda and Grant as hosts. It’s a given that Amanda is always fantastic in anything she hosts. Not normally a fan of Grant but he’s come into his own here – surprisingly entertaining. Also a great mix of “stars”, with some outstanding dancing and lovely camaraderie between them all . I’m loving DWTS, and it is even better than the Chanel Seven version. Amanda and Grant work so well together, and Amanda never fails to make me smile and laugh, such a warm, funny personality. Judges are all really good too. It’s a great series, and even Craig is relaxed and has toned down his ‘bad judge’ act. Much of the praise has to go to the production crew, who created this slick yet homely show out of literally nothing. From lighting, staging, camera operators, sound technicians, makeup and wardrobe, they have really hit a home run. And the casting of the judges was brilliant. I can definitely see this show continuing. I am loving the show again after a few dud seasons at the end of it’s Channel 7 run. I was thinking last night how much I would love a revamp of So You Think You Could Dance Australia, but that will never happen now unfortunately. I would absolutely love SYTYCD to come back….my favorite reality show ever! Shocked at Olympias elimination, was one of the better dancers. Really enjoying the show, a great production. Grant and Amanda are great hosts. All the judges bring something different. Hope its renewed for a second season. I was shocked by Olympia’s elimination too. I like Curtley, he is such a happy and positive person, but I thought he would have been eliminated before Olympia. He must gave a huge fanbase. Yes I was shocked when she went too. Was upset to see her & Samuel in the bottom 3 & hoped the cricketer would go. Hopefully they will renew it. Maybe next year put it on later in the year against the Block or Voice. Don’t think they rate as high as Kitchen Rules & Married. 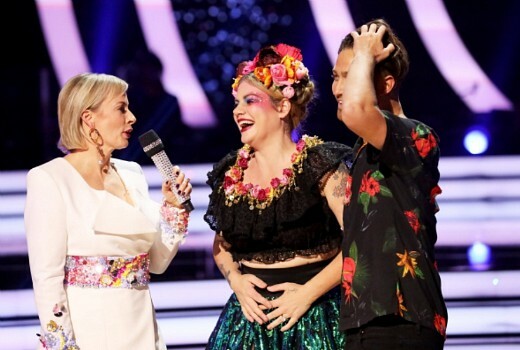 The Voice would be the one if they wanted to change the timeslot, against The Block it would wither in the ratings, sure The Bachelor did quite well against it (200-300,000 less) and the trouble is when the Voice is on, TEN have Masterchef. Take last year first week My Kitchen Rules ended May 6th and House Rules followed on the tale of that May 07th: The Voice: 949,000, MasterChef: 890,000, House Rules: 607,000 and it didn’t lift much after that debut number. The Voice and Masterchef swapped the lead through their seasons last year especially after The Voice blind auditions. So I don’t think there would be anyway TEN would risk moving Masterchef to say vs The Block and put DWS in Masterchefs spot. I’m surprised at how I’ve been drawn to DWTS. If you had have asked me if I’d be watching when it was announced it would’ve been a big no from me. But I’m hooked. Amanda and Grant are great as cohosts. I’m enjoying the show. It’s bright and breezy and very entertaining. Pity it’s up against MAFS. It deserves better ratings.